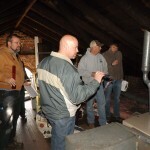 PLI takes every student into the hands-on, real world practice of home inspecting, live, with a state approved instructor and licensed home inspector at their side. Many states require field training, laboratory, and the like as part of the licesning process. Even if they did not, it is one thing to read about a house and something else to walk through it, checking out a house from the ground up, up close and personally. It can be even more challenging when you think about inspecting 200 years of homes, built under all sorts of different standards, with different building materials and techniques. That is before you even start thinking about some of those homes standing vacant for a year or more in foreclosure, or getting remdiated after a fire or a flood. You don’t get that out of a book, or a box fresh off the dealer’s floor! But that is exactly what home buyers and home inspectors get every day. PLI resources include an ever-changing inventory of homes that provide a huge variety of actual systems and components — numerous actual models of HVAC, electrical, plumbing, masonry and other materials – both common and uncommon in today’s homes — in all price ranges, and all conditions. Students may elect to exceed the PLI/Kentucky minimum of 16 lab hours, and additional tutoring is available. 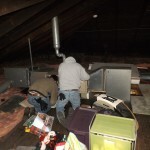 PLI considers hands-on experience and actual on-site work critical to the training of competent home inspectors. Field and lab inspection work also is examined with a course final, using actual photos and component illustrations to be sure students recognize the issues involved and have obtained the full benefit of this important segment. 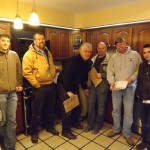 Then actual inspection reports get reviewed with instructors who write home inspection reports day-in and day-out. It doesn’t get any better than that!